This Osprey had been perched high up on a utility wire for over an hour surveying the Susquehanna River just below the Conowingo Dam in Maryland. I missed the take-off and dive, but caught her as she flew by with her catch. 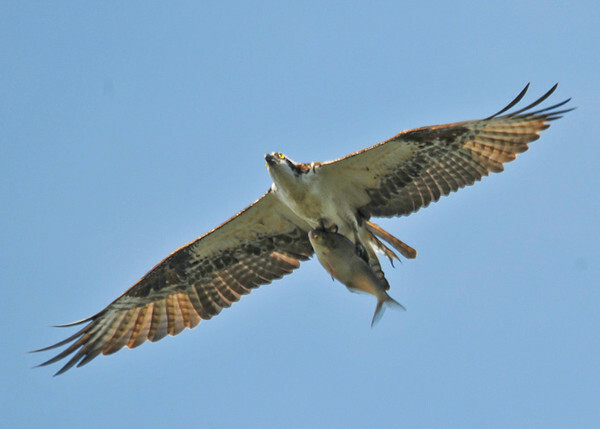 I am thrilled to hear of this event where the Osprey was able to release the large fish. I say one almost drown trying to free itself. I think the one I saw was immature.